Zest worked with DTC to create a new identity as they worked to steer away from simply dental into an expanded service base. Their new look is energetic and warm, it represents their hand on service approach and emphasizes their ability to bridge the gap between innovative technology and traditional, high-quality service. Zest created a series of new logos which incorporated a cool color palate with organic hand drawn shapes. They gave DTC an iconic brand image on which they could grow their business. Zest worked to include bridge imagery into the logo to complement their re-branded slogan "Bridging The Gap Between Innovative Technology & Traditional Service"
Zest wanted to create a playful logo, one that was simple yet multi dimensional. These various layers also incorporated their name's acronym 'DTC' within the shape of the logo. It provides DTC with a strong brand icon, which works in harmony with other elements of the website and branding. Zest worked with DTC to provide them with a brand identity which can seamlessly transition across various formats. For example, Zest used the colors, fonts and imagery from the website to create beautifully stylized business cards. Zest also created a number of icons which correspond to DTC's main services and expertise offerings. These icons are used across all branding material , including their updated website. The icons were created to create a friendly and energetic identity throughout the site, while still remaining professional. Like most projects, we started with wireframes to create the bone of the website. From there, we turned the wireframe into a beautifully designed page. Zest used a cool color palette with hint of gold and also incorporated friendly font choices. We created colorful icons to compliment the text which were cohesive with the logo's soft, rounded corners. The home page is laid out to reflect the order of the main navigation bar, essentially giving visitors a preview of the information that could be found in the inner pages. A right layout pane was created so users could preview their services and present dental specialties. The inner pages of the DTC website have their own submenu which used icons to navigate further within the information on the site. The inner pages were designed to have a consistent feel for easy navigation. 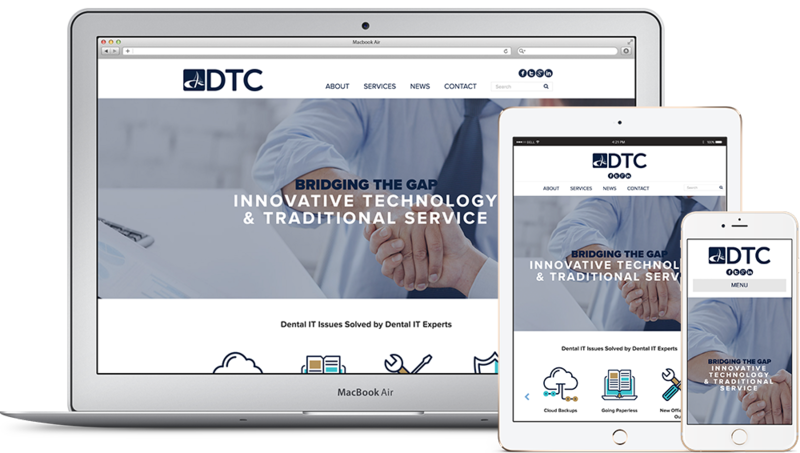 DTC's site has a responsive design making it web, tablet, and mobile friendly. Zest worked with DTC to expand their social media presence to promote their new, rebranded look. Being a technology focused company, we realized that our website needed to be brought up to date. The idea of actually having to do the update though was overwhelming! 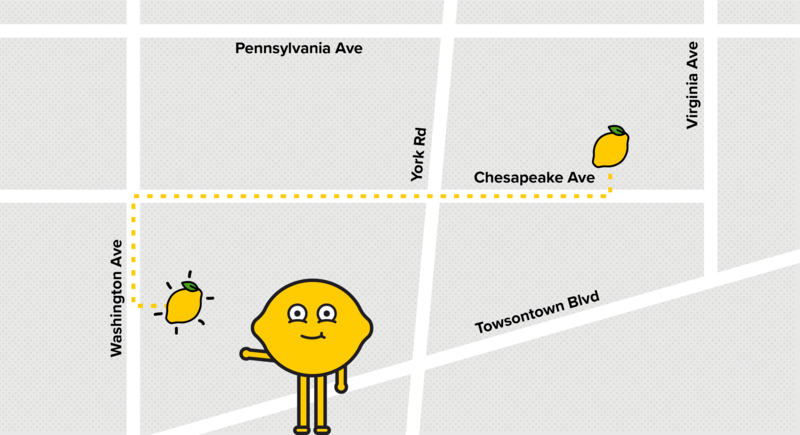 Zest was able to immediately provide relief to our anxiety. They walked us through the process as we created the vision and overall feel of what we wanted the result to be. Through a collaborated effort, we now feel that our website accurately reflects our companies services and personality. All this was made possible because of the knowledge and direction of Zest.